It’s not hard to remember a time when getting an A-list wardrobe required a bank balance as puffy as P Diddy’s. The same goes for the kind of labels hanging inside the closets of Jamie Foxx, Tyga, Swae Lee, French Montana and Scott Disick which were, sure, extremely cool, but almost always eye-wateringly expensive. But things have changed. And given that all these red carpet heavyweights have all been spotted in a range that starts from just £5, it’s clear that looking good is no longer all about the Benjamins. Founded in 2013 and launched as a standalone platform three years later, boohooMAN has established itself as one of the web’s premier locations for trend-led menswear that’s just as at home in the Hollywood Hills as they are on the streets of its hometown, Manchester. 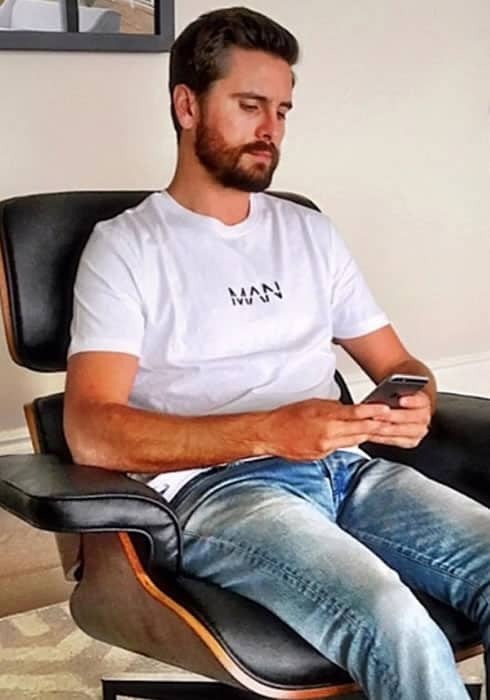 Considering that these famous fans of the etailer’s branded MAN range aren’t short of a quid or two, either, speaks volumes about the products, which are quickly becoming the new standard in affordable basics. 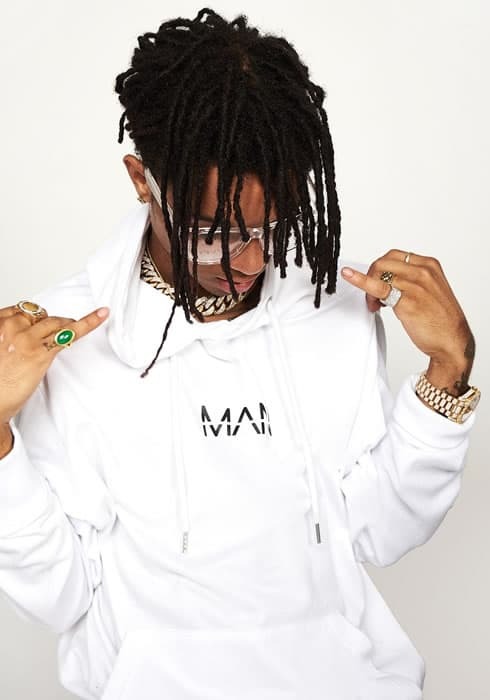 Applied to everything from T-shirts and hoodies to accessories and activewear, the MAN logo has become a must-have for both everyday fashion fans and tinsel town’s biggest players. So before you attempt to beg, borrow or steal from the most stylish celebrities, check out these 10 key products to get some for yourself (before the A-list nab it all). You shouldn’t need us to tell you that hoodies are no longer just for sofa-based Netflix sessions. Today, the once divisive sportswear garment is a bona fide wardrobe hero, like this one finished with the MAN logo, which can work as a top layer or slot under an overcoat. The months between seasons needn’t be awkward to dress for, at least not when you’ve got a few long-sleeved T-shirts to hand. A transitional-friendly take on boohooMAN’s classic logo basic, this cooler weather option is the ideal way to get your layering game on point. If there’s a garment more deserving of the title ‘wardrobe essential’ than the T-shirt, we’re yet to hear about it. Add to that the fact that the logo tee has been a cornerstone of the streetwear world for as long as most can remember and boohooMAN’s staple offering is a surefire future classic. Ever since they sprinted off the field and onto the fashion week front row, joggers have become an essential part of the modern wardrobe. This colour-block example from boohooMAN offers a sleek, skinny fit and nails the side-stripe trend with its logo tape detailing. A retro take on the T-shirt, this burgundy number features a contrast stripe collar, sports rib fabrication and a subtle MAN logo to the chest. If you were looking for a handsome, #throwback piece with modern DNA, you just found it. 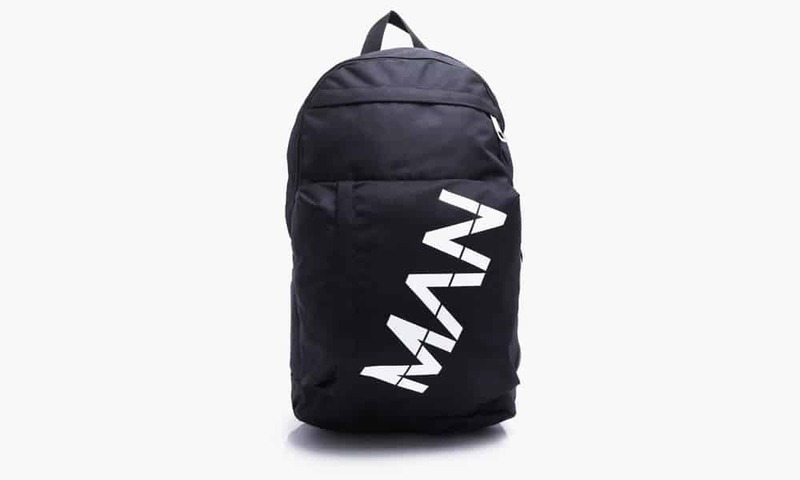 Whether you’re off for a session in the squat rack, or simply trying to cart your lunch to the office handsfree, a backpack is the perfect way to do it. With its canvas construction, multiple zip compartments, there’s no bag out there better suited for the task. No wardrobe rotation can possibly be considered complete without a few hoodies. This vibrant option is available in striking red and yellow and is capped with a logo armband that’ll make you look like Jamie Foxx’s security. Not everyone can pull off a beanie, but picking the right one can give you the best possible chance. This cuffed style is a solid choice: rendered in a classic monochrome colourway, it’s as versatile as they come and will keep those lugs warm, too. Any brand that can turn out a real leather cardholder for less than a fiver has our backing as well as Diddy’s. This sleek, little pouch is available in two colourways, and best of all you’ll have plenty of money left over to stuff it with. No millionaire rapper got there by only wearing black and white clobber. Stand out from the crowd and get noticed in this eye-catching T-shirt. The bold styling makes it a great way to give your outfit a focal point and introduce a splash of colour to any look. Shop the full MAN collection now online at boohooMAN.com.